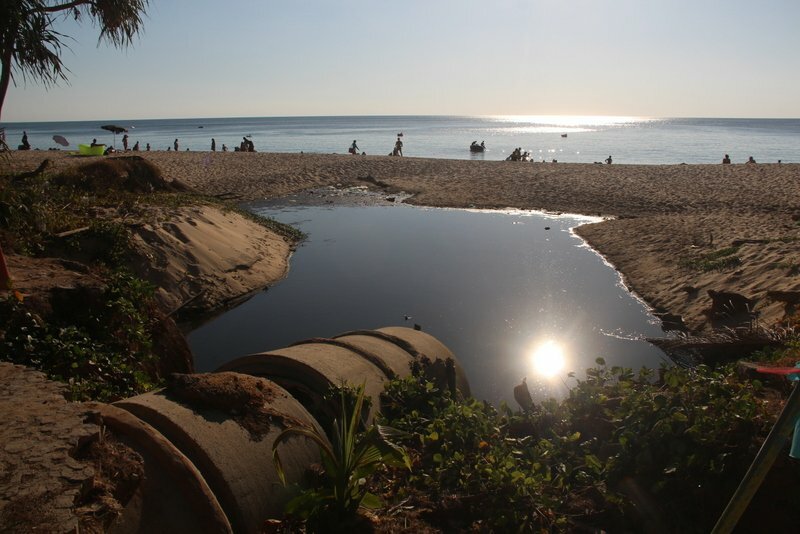 PHUKET: The popular tourist beach areas of Bang Tao and Surin Beach on Phuket’s west coast make history yesterday (Mar 1) as the first wastewater-treatment plants serving the areas are brought online – the first major step forward in the hope of eradicating the putrid pools of black wastewater that have gathered on the two beaches for more than a decade. The two wastewater plants – one located near each beach – were built under government contract by Prayongsil Karnyotha Co Ltd over five years, from 2012 though 2017, at a cost of B355.52 million. 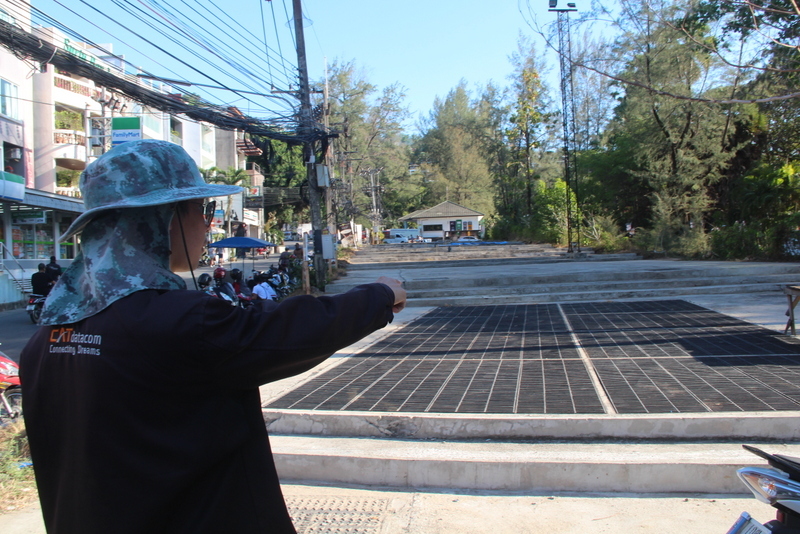 A total of B248,773,025 of the budget was provided by the Environmental Fund operated by the Office of Natural Resources and Environmental Policy and Planning (Onep), and B106,746,975 was provided by the Cherng Talay Tambon Administration Organisation (OrBorTor). However, both facilities fell into disrepair after laying idle while no company entered bids to operate and maintain the two plants. Late last year that changed, Cherng Talay OrBorTor Chief MaAnn Samran told The Phuket News this week. 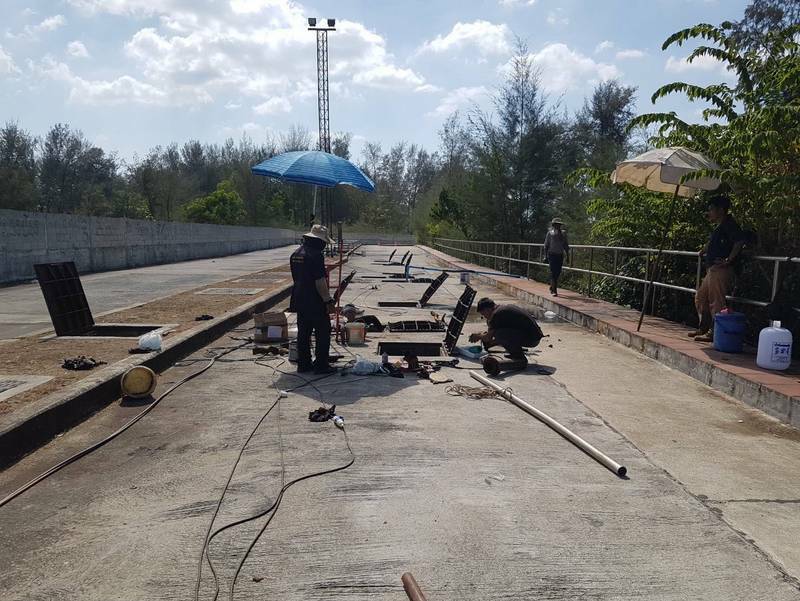 Local company Kwan Rawee Co Ltd, with its office located in Srisoonthorn, took on a B1.65mn contract to service the ailing wastewater treatment sites back to operational condition. The maintenance and repairs began on Jan 1 and were completed last Saturday (Feb 23), Mr MaAnn explained. As of yesterday (Mar 1), the company brought both facilities online, operating 24 hours a day. Cherng Talay OrBorTor signed an initial contract with Kwan Rawee Co Ltd to operate the plants for just seven months, from Mar 1- Sep 30, 2019, Mr MaAnn said. “This is because the contract cannot extend beyond the fiscal year (ending Sept 30), which official budgets must adhere to. After that, we will have to offer a new contract, as that is required under the Thai government procurement legislation. “The contract for operating the two plants for seven months is for about B3.2mn. If offered for a whole year, the amount will be about B5.6mn,” he added. The cost includes conducting regular water-quality tests to ensure the wastewater being released post-treatment complies with environmental regulations, Mr MaAnn noted. 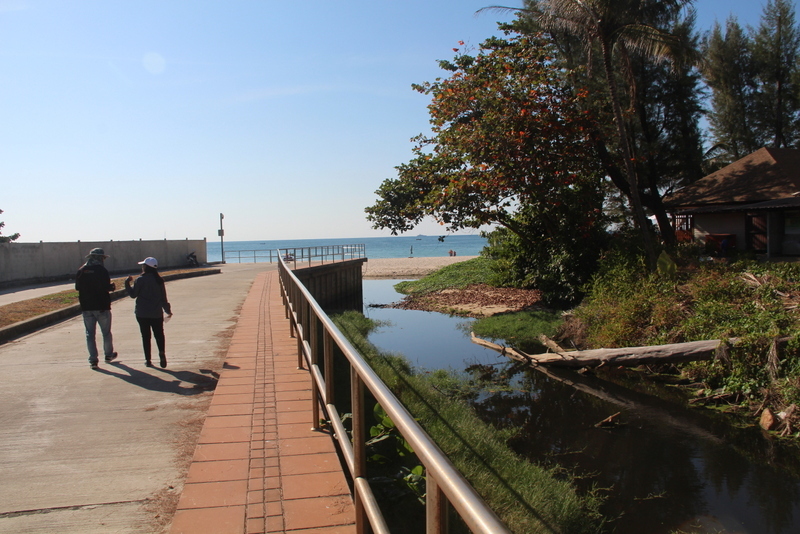 Both the Surin Beach and Bang Tao plants have been built beside the beaches where local major canals that run through the neighbourhoods empty onto the sand. “This is to make sure that we treat as much of the dirty water as we can before it is released into the sea,” Mr MaAnn explained. The Surin Beach facility is located on Surin Rd Soi 8 in Moo 3, Cherng Talay. The Bang Tao Beach plant is located on Bang Tao Bay Rd in Moo 5. The main sludge separation tanks and the secondary treatment tanks at both sites have been installed underground in order to not create visible eyesores, and to keep the stench to a minimum, Mr MaAnn explained. 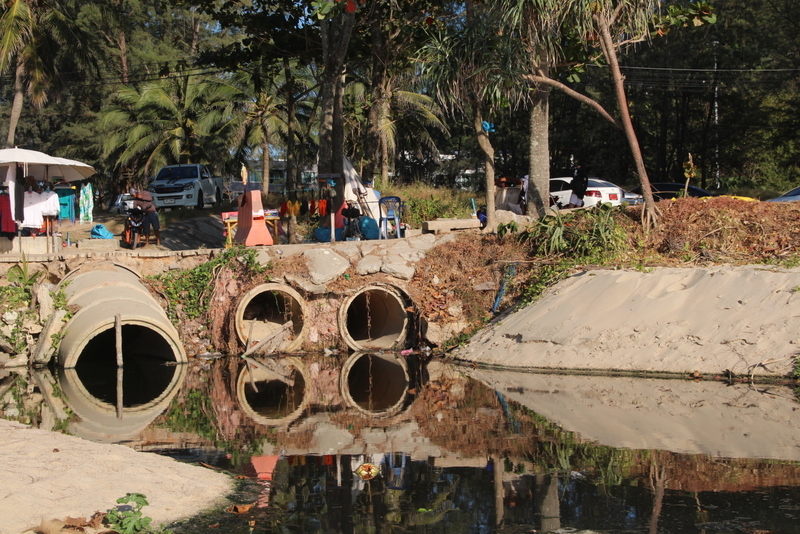 Cherng Talay OrBorTor has already installed sewers throughout the areas immediately adjacent to the two wastewater plants. 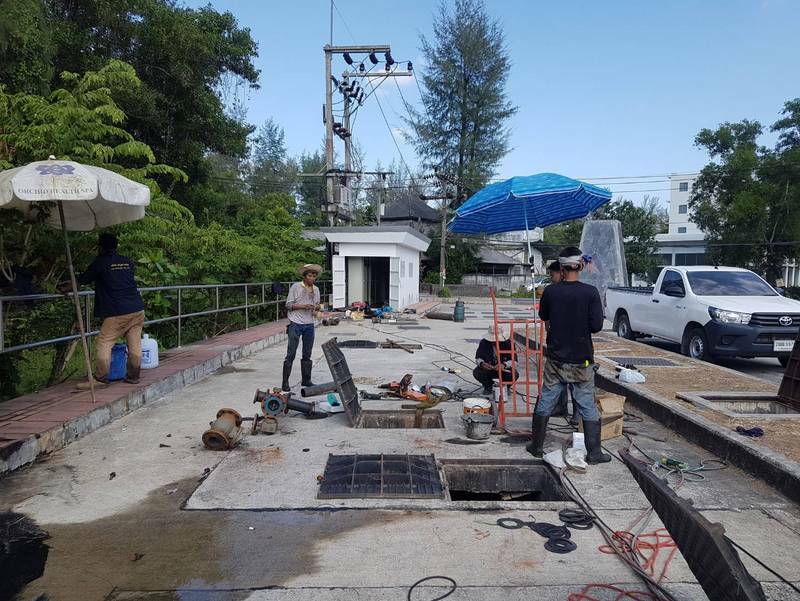 Sewers installed in Cherng Talay Moo 2 and Moo 5 will feed the Bang Tao station, while the waste pipes laid throughout Moo 3 will feed the Surin Beach plant. “Treated wastewater from the Bang Tao plant will be released straight into the sea as there is no room to store treated water, but the Surin plant does have a storage facility. During the dry season, such as now, this treated water will be used for watering gardens and roadside trees or put to some other beneficial use,” Mr MaAnn said. However, any excess treated water from the Surin plant will be emptied onto the beach, he said. “Cherng Talay OrBorTor will tell all hotels, houses, shops and other businesses in Moo 2, 3, and 5 to connect their wastewater pipes to the system. There will be a wastewater tariff, but how much that will cost each entity depends on the wastewater they release,” Mr MaAnn noted. “This money will go towards paying for operating the treatment plants, which is expensive, but the water released by them will be clean,” he said. “If this all works well we will connect the sewers from Moo 4 and 6 to the system next. 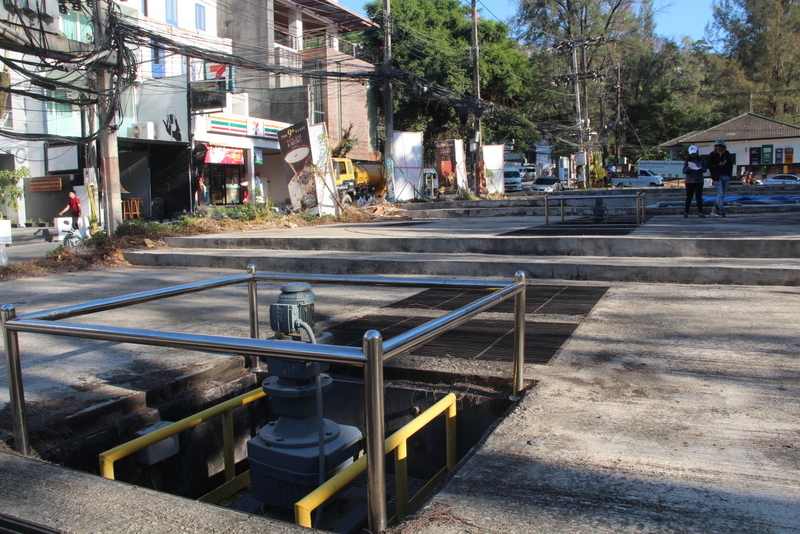 We will also connect the sewers from Moo 1, which is actually under the responsibility of Cherng Talay Municipality (not the OrBorTor),” he added. 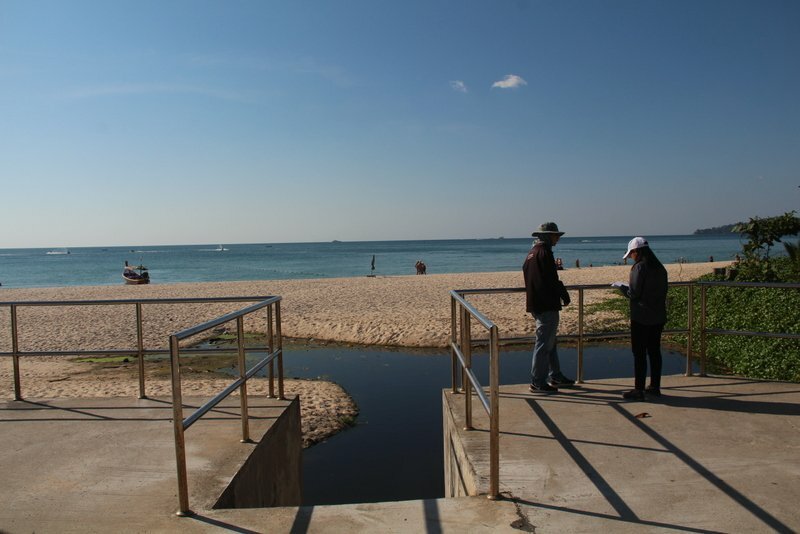 Despite the treatment plants becoming the mainstay defence against the putrid waters from pooling on the beaches, Mr MaAnn admitted that challenges still lay ahead in preventing people from dumping untreated wastewater directly into the main canals in the area. 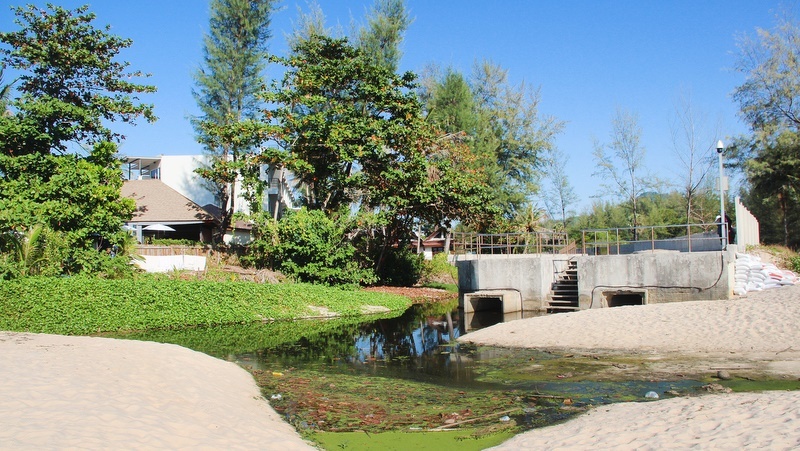 “To start with, another canal that also flows through to Bang Tao Beach actually starts in Srisoonthorn, flows through the Cherng Talay Municipality’s area, and ends up in Bang Tao, which is Cherng Talay OrBorTor’s responsibility,” he said. “We will do our best, but most of the prevention is done at the source. We have situated the two plants near the beaches to catch as much as we can,” he said. 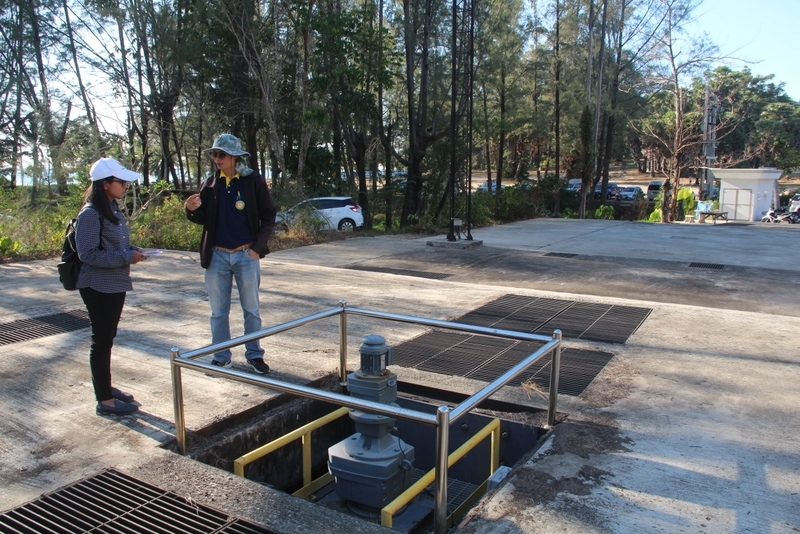 As a last-gasp measure to clean dirty water in the canal at Bang Tao, Cherng Talay OrBorTor has also installed an ozone water-treatment machine near the southern end of Bang Tao Beach. The ozone generator was installed on Feb 15. Follow the money- one can be most of it never went anwhere near the plants knowing the individuals involved!